This 120 Volt AC Rotating Amber Beacon Light comes with mounting screws and wires for permanent or semi-permanent installation to a 120 volt AC power source. 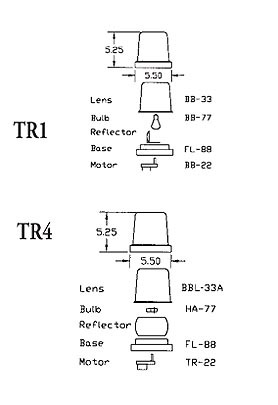 It uses a bright incandescent lamp with a polished rotating reflector. 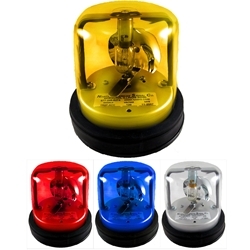 This heavy duty Rotating Beacon is ideal for use at airports and hangars, construction sites, industrial facilities and in emergency response situations. This product is made to order. Please allow 7 to 10 business days for factory assembly.